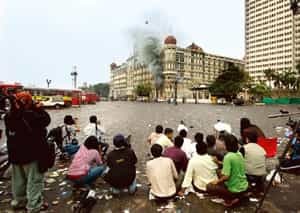 As public outrage over the Mumbai attacks mounts, TV news channels are being targeted along with politicians. Let’s be fair to our TV channels. Yes, they were often out of line in their coverage. But just as our own reactions—though sometimes over the top (bomb Pakistan, stop paying taxes)—were largely justified (get our act together on security, make politicians and bureaucrats more accountable, send a tough message to Pakistan), the TV news channels, despite a few faux pas, have generally done a great job. Had it not been for their relentless coverage, our awareness and outrage would not have been what they are. They brought home to us our vulnerability, whether we were in Mumbai or not. They highlighted, like never before, the diabolical planning and diligent killing machines of the Lashkar-e-Taiba and the contrasting lack of preparedness of our security infrastructure. They confirmed the heroism of our commandos and the sad state of our police force. They demonstrated the passing-the-buck habits of our security agencies when they had prior information that could have averted this tragedy. They telecast live the callousness and ineptness of our political leaders from the prime minister down. They helped us grieve with those who lost their loved ones and fired our anger at the helplessness of it all. They forced us to think about our role as Indians, our relationship with our government and spurred us to finally give a damn. They kept the issue alive with continued intense and non-partisan coverage. They united us as a country in what is probably the most unprecedented mass response—“enough is enough"—to a national issue in independent India. Moreover, it was good that the world was left in no confusion about the perpetrators of the crime, despite the BBC calling the 10 Pakistanis “militants", wondering if they were “home-grown", and going to the ludicrous extent of suggesting that the captured terrorist could as well have been from Faridkot, India. So, maybe our reporters got too close to the scene and hampered operations, but that only goes to show how the local authorities have no standard operating procedures in these matters. You can hardly fault the reporters and cameramen for not knowing how close was too close. Maybe they didn’t distinguish rumour from reality, but then, who did? There was no one in charge. No briefings or regular official updates, only casual rhetoric, clipped comments from the police and the army, and the occasional bumbling politician. Yes, the “confirmed" breaking news of fresh shootings was disconcerting; even a seasoned BBC sent shudders around the world early last Friday morning by reporting firing at Delhi airport. There were some clear goof-ups but, equally, some celebrity anchors showed uncharacteristic humility with quick retractions and apologies. Some have suggested the coverage played into the hands of the perpetrators, giving them the very exposure they didn’t deserve. But could that have been avoided in an event of such magnitude? Yes, on a more critical note, the screaming of exclusives and “breaking news" was a bit too much and wholly unnecessary. The one-upmanship between channels, reporters and anchors was also crass and immature. Who cared if you reported it first—who would remember, really? The reporting could have given too much away to the terrorists—if it did, then some channels may have blood on their hands. The live conversation with an MP who revealed he was hiding with a bunch of people inside the Taj Chambers may have led the terrorists there—a massacre followed. Also, some of the victims’ families looked as if they were being exploited at a time when they should have been left alone. Then, there was no need to show blood and body parts. The “expert opinions" of gliterrati and chatterati were also well worth avoiding, as were some of the histrionics of reporters and anchors. Now, of course, every channel and media group pretentiously proclaims itself as the catalyst and leader of the current wave of public outcry in the country. I hope our TV channels never have to report such an incident again. They, too, had not been exposed to anything like this before. Ten men held a country to ransom. With the very coverage that has invited criticism from several quarters, our channels have forced us into, what a columnist in this newspaper called, an “existential exfoliation" as citizens of this country. So must our TV news channels reflect on their role and performance in this calamity. Hopefully, they will emerge more mature and balanced, building on their strengths and shedding their bad habits. Till then, give them a break.